Wondering about that rash, welt, or bump on your child's skin? Sickness, allergies, and heat or cold are often behind kids' skin changes. Most aren't a big deal and are easy to treat only requiring mild medication and time. It is fairly easy to spot some of these skin problems. Warts: A virus causes painless skin growths. 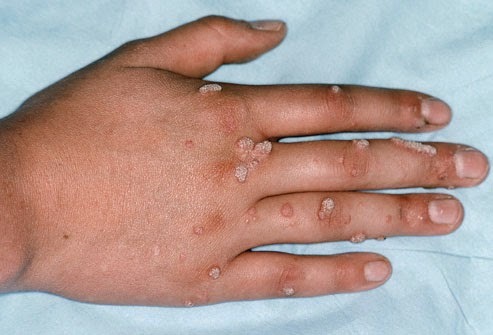 Warts can spread easily from person to person. They also spread by touching an object used by a person with the virus. They're most often found on fingers and hands. If covered with a band aid some warts will go away. 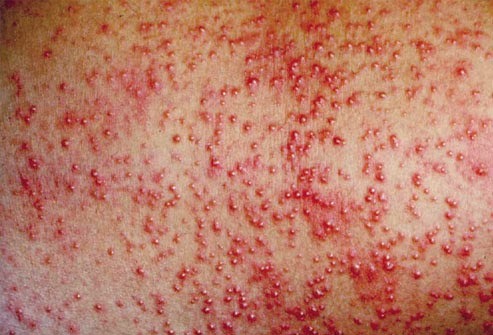 Heat Rash: Heat rash looks like small red or pink pimples. You usually see it on the head, neck, and shoulders of babies. It can happen to any child in very hot weather. Dress your child with only one more layer than you are wearing because dressing a child to warmly may lead to heat rash as well. Eczema: Eczema is a chronic itchy skin condition. Atopic usually starts within the first five years of life, most often in the first six months. Watch for a raised rash with dry skin and intense itching. 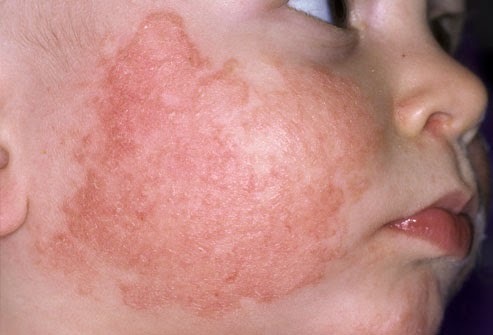 Atopic dermatitis is the most common type of eczema. Some children outgrow it or have milder cases as they get older. If you have further question or believe your child may have one of these or any other issues contact your dermatologist.